We consider the feedback control problem for a nonlinear distributed equation with memory. 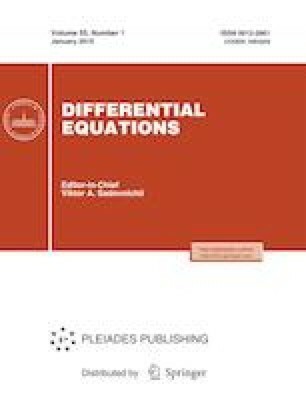 An algorithm for solving this problem based on constructions of the theory of positional differential games is proposed under the assumption that the equation is subjected to an unknown dynamic disturbance. Russian Text © V.I. Maksimov, 2019, published in Differentsial’nye Uravneniya, 2019, Vol. 55, No. 1, pp. 103–110.